With more than 55 years of combined experience practicing construction law the construction law attorneys at Campbell & Bissell, PLLC have the knowledge and ability to handle residential, commercial, industrial, and public development projects on behalf of owners, developers, contractors, architects, engineers, subcontractors, and suppliers. Construction projects are expensive undertakings requiring a significant investment in time, money and opportunity costs. We understand that every day of construction lost to a dispute is money out of somebody’s pocket. Our construction lawyers devote themselves to solving the problem at hand and getting the project back on track as swiftly and smoothly as possible. We handle all manner of construction issues, as well as contract drafting and negotiating payment disputes, insurance coverage matters, and issues surrounding architectural and engineering errors. Between owners and contractors, just as between contractors and subcontractors, the presence of an appropriate written contract for your job is paramount. Key terms often revolve around the amount agreed to be paid and when, such as at the completion of the project or along the way in installments. Conditions may also be imposed by the contract on when payment is due. Contracts for the purchase and delivery of supplies and materials to the job site are also essential, and delay or nonperformance can cause the project to grind to a halt. Our firm deals extensively in contracts law, assisting clients in the drafting, review and negotiations of clear, enforceable contracts to protect your rights. If a dispute arises over your Contract, we can resolve the matter for you and if necessary use our trial skills to protect you in court. Payment disputes can arise among all the various parties to a construction project – property owners, borrowers and lenders, contractors and subcontractors, material suppliers, and others. For all the different types of payment disputes, there are just as many mechanisms for collection or enforcement of the right to receive payment. Suppliers of labor and materials may require the prime contractor to post a payment bond in an amount equal to the payment required under the contractor. The payment bond acts as a surety bond which the subcontractor may look to for payment. In the absence of a payment bond (and depending on the state), the supplier may still file a Stop Notice, requiring the owner or lender to withhold money from the prime contractor or borrower to answer the claim. Protection for the prime contractor may come in the form of a performance bond, which can require the subcontractor to post a bond in an amount equal to the cost of the work which is to be performed. Payment and performance bonds are both required on many federal and state-funded government construction and public works projects under the federal Miller Act or the state’s Little Miller Act. The Mechanics’ Lien is a widely-used tool of contractors and material suppliers to obtain payment by perfecting a security interest in the real property or building under construction, and foreclosing on that lien if payment is not made in a timely or proper fashion. We enforce the rights of material suppliers, contractors, developers and owners in all manner of payment disputes including delay claims, extra work claims, work stoppages, and any other basis for withholding payment. No construction project can proceed without some form of insurance coverage. If a claim does arise, the last thing you want to hear is that coverage has been denied or disclaimed. It is entirely reasonable for an insurer to investigate the claim before it pays any benefits. However, the carrier’s motives in its investigation cannot be a bad faith effort to avoid paying the claim, and its actions must be reasonable in light of the customs and standards of the insurance and construction industries. We help parties in the construction process get the protection they need to move forward and hold insurance companies accountable for an unreasonable refusal to indemnify a first-party claim or defend a third-party claim, an unreasonable delay in processing a claim, or other acts of insurance bad faith. Architects and engineers may be held liable for a structural failure due to faulty design or construction. Even absent a building collapse or other patent evidence of a construction defect, design professionals may be liable for acts and omissions that cause unnecessary and unexpected delays, or for failing to remediate an error in a timely manner. From allegations of inadequate plans or specifications to improper designs, architects and engineers may be sued by contractors or owners for very costly damages resulting from project delays or actual personal injury or property damage. From construction defects to contract defaults, the construction law attorneys at Campbell & Bissell, PLLC have the knowledge and experience to make sure you are fairly compensated for your role in the construction project. Our lawyers are licensed in Washington, Idaho, Montana, Alaska and North Dakota. 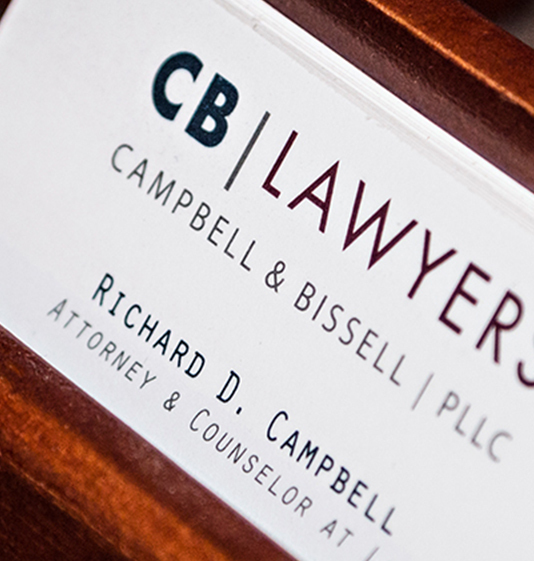 For assistance in resolving your construction law matter, contact the law office of Campbell & Bissell, PLLC in Spokane, Washington.